Lake. During the four years of racing with Bobby Bills, Cheetah did not break down once. 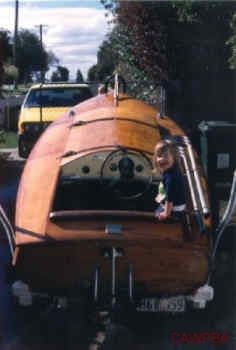 won the H R Archibald Cup Blue Ribbon Event. 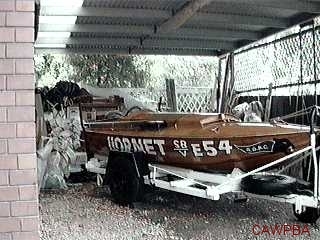 There was one other owner, Milton Smith, who had Hornet for a very short time. 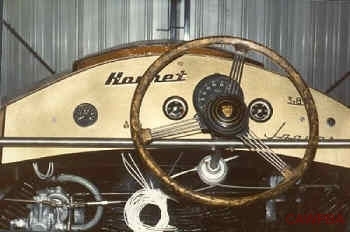 Len Parker bought Hornet around 1951, with Stan Hewart being the mechanic. Len broke his pelvis in a crash at Lake Glenmaggie when the boat was sunk. 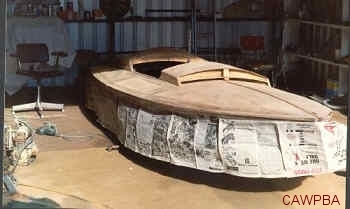 The boat was then sold to Bill Hart in 1958 with Stan Hewart (driver) and Stewart Barbour (mechanic) taking over the racing. 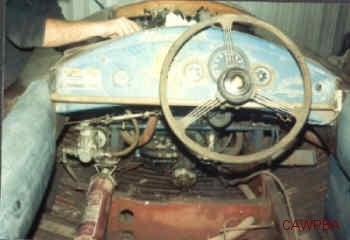 The Dodge motor was used for a few of years until Bill Hart could get hold of a Jaguar six cylinder. The Jag motor was bored out to 266 ci to qualify for that racing class. 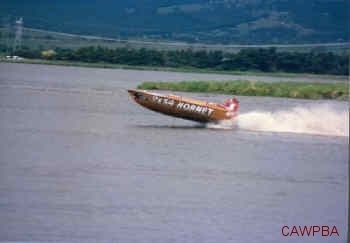 That motor is still in Hornet today. 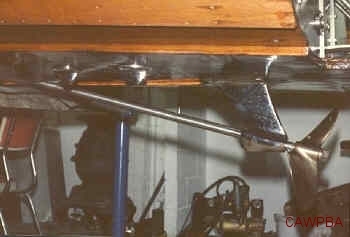 Hornet had a direct drive to a right hand two blade propeller with a fuel pump from a World War II bomber. 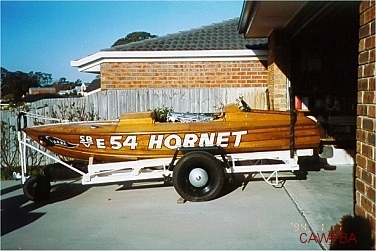 Bill Hart moved to Melbourne in the Mid 1960's and took Hornet with him. 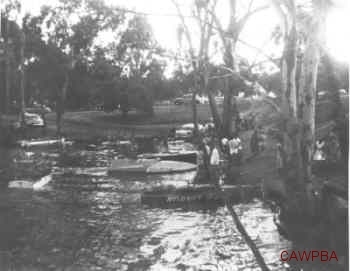 He raced Hornet himself a few times at Melbourne's Albert Park Lake, with one memorable photo of Bill heading for the sky, as a lot of skiffs used to do. 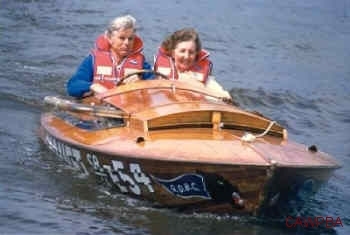 Bill retired the boat and himself in the early 70's. 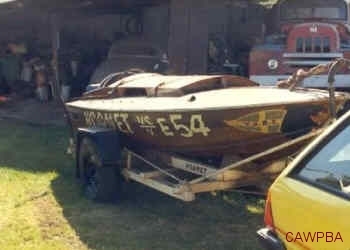 Hornet sat in a shed in Victoria's Western Port for almost 10 years with a big cardboard box sitting on top of it. 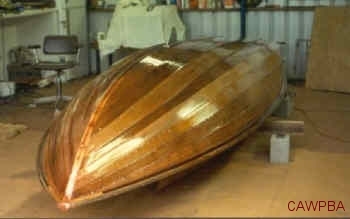 Shane's story starts with his father (Stewart) being asked to be the boat's mechanic in 1958. Stewart, along with driver Stan Hewart, raced Hornet to so many titles that Shane cannot find out exactly how many they won. 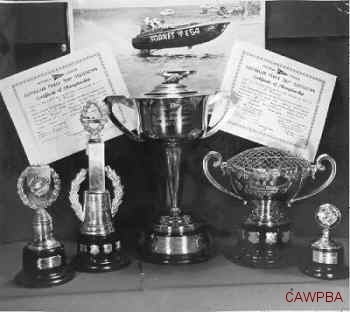 Hornet's best titles were 1st in the 266ci Victoria Titles and 2nd in the 266ci Australian Titles (word has it that Hornet should have won, but the motor got drowned rounding a corner and coughed and spluttered to the finish). 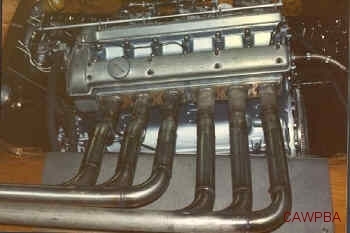 Hornet's best years of racing were when it had the Jaguar six cylinder bored out to 266ci. 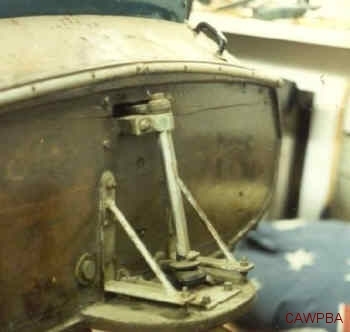 The motor was tried with an assortment of carburettors during its development, with the triple Webers being the most successful, along with the "great sounding" six into two straight out exhaust system. Lois and Stewart's children Shane, Tony and Maree, wanted to find a good present for their parent's 30th wedding anniversary, so it was decided to try and find Hornet, which they did. 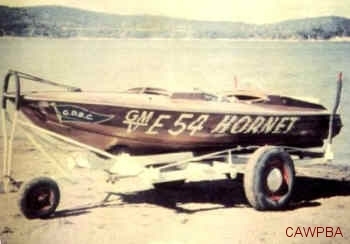 Shane's family tracked Hornet down through registrations (it was still registered 1986) and approached Bill to buy the boat from him. Bill only sold it to them because he knew Stewart and knew it was going to a good home. After dragging Hornet out of it's resting place, it was towed back to Shane's place for the restoration. All of this was done without the knowledge of Lois and Stewart. Hornet took 8 months of solid work to bring back to pristine condition. 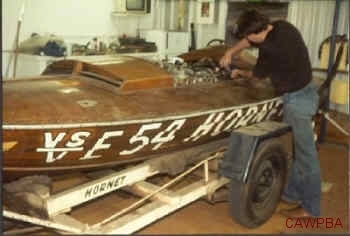 After the restoration was completed a surprise party was organized and Hornet was presented to Stewart and Lois. Stewart almost had a heart attack and couldn't wait to try it out, which was the next day. 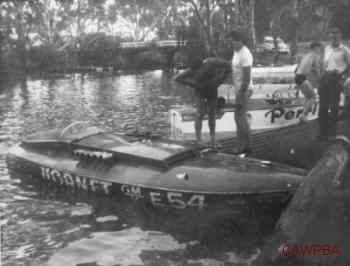 In 1987 Hornet made a brief appearance at the Glenmaggie Boat Club race day, but because racing is done in the anti-clock wise direction these days, poor old Hornet didn't like turning that way. 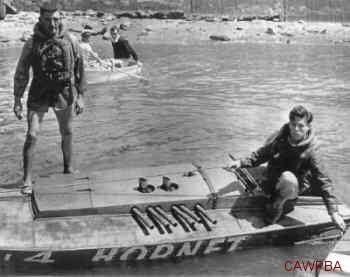 Now, Hornet only comes out and hits the water once or twice a year.